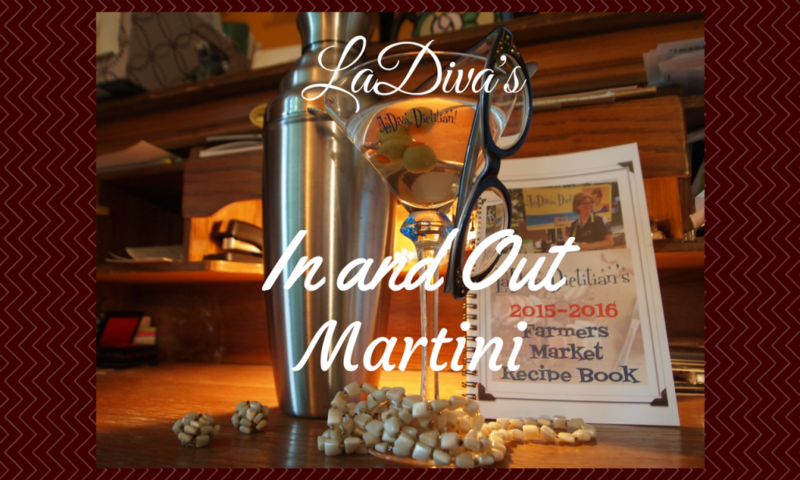 The LaDiva In and Out Martini | LaDiva, Dietitian! Darlings, there is no video for this. If you don't know how to make a shaker drink, you are too young to have one. There is a reason martinis are called, The Silver Bullet. There is no room for fru-fru, only olives. Fill shaker to half with ice cubes. Pour a few cubes into each glass. Add 1/4 cup water to chill glasses. Dump ice out of glasses. Pour a tiny amount of vermouth in one glass, swirl around glass. Pour the vermouth into the other glass. Swirl and dump in sink. Pour vodka into shaker. Shake for 10 seconds. Strain vodka into glasses. Garnish with olives. Serve immediately.